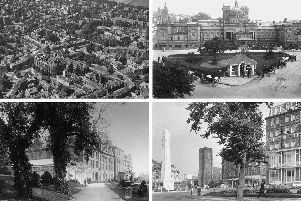 The Market place pictured in 1957. We delve into our picture archive to find photographs of Knaresborough from decades ago. From the Dropping Well, to familiar snowy scenes at the viaduct, these images show the town in the 1940s and 1950s. Share your images with us.